“Doctor Who” fans needn’t worry; their beloved Doctor is set to roam all of space and time for the foreseeable Earth future, according to showrunner Stephen Moffat. The current man behind the TARDIS revealed to Doctor Who magazine (via Radio Times) tha he's got the next few years of the BBC series mapped out. Moffat took over the controls to the TARDIS from the former "Doctor Who" showrunner Russell T. Davies, who helped to reboot the series in 2005. A longtime fan of the show, Steven Moffat incorporated several references to previous monsters and characters from the reboot and the original series, which ran from 1963-1989. Moffat’s tenure has brought several talented writers to pen episodes for the venerable Doctor, including award-winning sci-fi scribe Neil Gaiman, but has a noticeable lack of diversity on his writing staff. Finally, Season 9 will see a step forward in addressing the writer’s room gender gap with the hire of former “Torchwood” scribe, Catherine Tregenna. Tregenna is the first female screenwriter on the show in five years. Moffat took Peter Capaldi’s Twelfth Doctor in a radically different direction than Matt Smith’s Eleventh Doctor to explore the trickier emotions behind a being who facilitated the death of his planet Gallifrey. But it seems like the stern Twelfth Doctor will lighten up a bit more for Season 9. “I’m writing quite funny this year – I’m pushing him the other way,” Moffat said in a Doctor Who Magazine interview (via Den of Geek). He complimented Capaldi’s natural “Scottish gloom,” but says that’s not the aspect he wants to emphasize for the rest of this Doctor's character arc. Coming from a fan background himself, Steven Moffat is sympathetic to several of the strange directions fans wish the show would go. He’s even entertained the thought of “Sherlock” and “Doctor Who” crossover, but that plan is possibly something further off in the future past Season 9. In keeping with the tried and true tradition of popular guest appearance on the show, the recent addition of Maisie Williams to the Season 9 cast list is a welcome surprise for “Doctor Who” and “Game of Thrones” fans alike. Other guests announced to star opposite Twelfth Doctor Peter Capaldi and his current companion Clara (Jenna Louise Coleman) include Paul Kaye, Morven Christie and Neil Finglinton. A potential "Doctor Who" movie spin-off has been circulating since about 2011 when “Harry Potter” director David Yates teased he would take it on as his next project. Moffat laid those rumors to rest at last, pointing out the publically funded issue of BBC productions and the issue of employing more than one Doctor at a time. 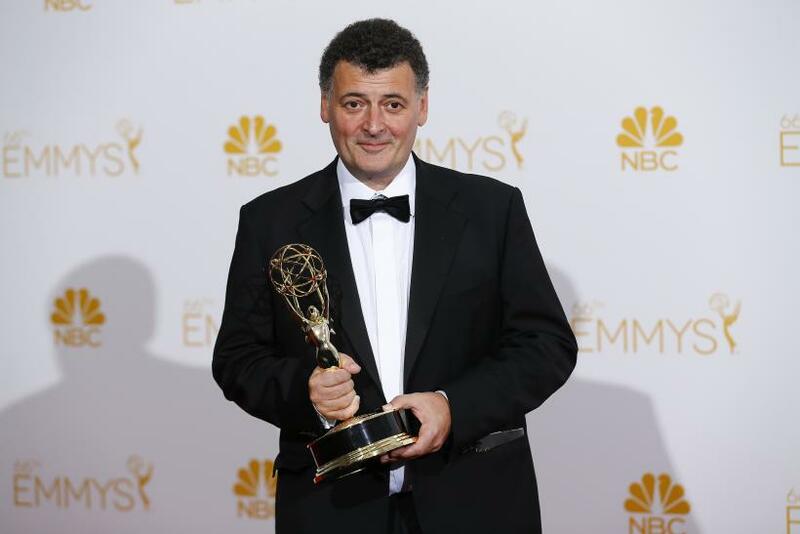 “You don't have a James Bond on TV and one in the cinema," Moffat told Daily Express. Whovians will remember there have been three movies made about the Doctor so far. Two released early in the series history in 1965 and 1966 starred Peter Cushing as a non-canonical earth scientist “Dr. Who” who also traveled in a time machine and battled against Daleks. The movies were longer, color adaptations of the then black-and-white TV show. A 1996 TV movie co-produced by Fox and the BBC was supposed to re-launch the series with the eighth Doctor played by Paul McGann, but ratings proved otherwise. “Doctor Who” Season 9 premieres this fall on BBC America.